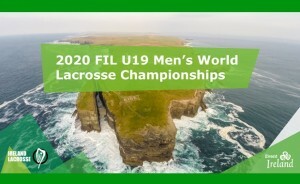 (ONTARIO, CANADA) The Federation of International Lacrosse (FIL) has awarded the 2020 U19 Men’s World Lacrosse Championship to Ireland Lacrosse. The event will take place July 9-18, 2020 at the University of Limerick in Castletroy, Limerick, Ireland. The 2020 FIL Men’s U19 World Championship will be the first lacrosse world championship hosted by Ireland and it promises to be unforgettable. The University of Limerick is known as Ireland’s “Sporting Campus.” All amenities and accommodations are in one convenient location with no transportation required during the championship. The sports complex includes five synthetic and nine grass pitches, exceptional strength and conditioning center, 225m indoor jogging 60m indoor sprint tracks, 50m indoor swimming pool and many other amenities. Lacrosse has a unique and rich history in Ireland, dating back to the establishment of the first club team in 1872 in Newtownards, just outside Belfast. At its height in the late 1800s, there were over a dozen men’s lacrosse teams throughout Ireland and the sport was played in many schools during that time. Interest waned until 2001 when the men’s national team participated in the European Championships in Penarth, Wales. In 2005, an Irish women’s team was formed to take part in the ELF European Newcomer’s Tournament in Copenhagen, Denmark, which it won. Since then, the Irish lacrosse program has grown steadily, competing in every major international tournament that has taken place since the re-emergence of the men’s and women’s senior national teams. 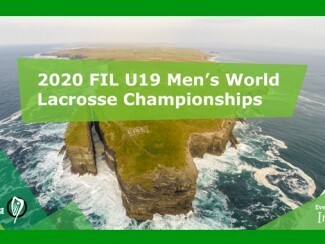 In 2007, a men’s indoor team was created, and in 2016, the Irish U19 men’s team will make its debut in the 2016 World U19 Championships in Canada. Plans are also underway for the U19 women’s team to make its debut at the 2019 World U19 Championships.